How to send anonymous email from your Android? Want to send an anonymous email or a fake name to make a joke to a friend? Today I bring a couple of applications to send e-mails with false names and senders . FakeMail is a new application that allows you to send fake emails from a fake email address . 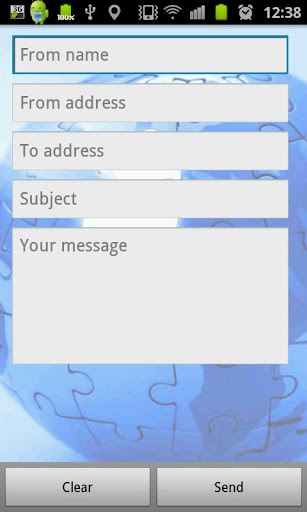 In addition, you can send e-mails with a custom name and receive a reply. Using the application is very simple: to write an email like any other application of this type, see the section in our email name and no spaces, for which we can write a name and email address fictitious that appear to the receiver of the e-mail as legitimate. 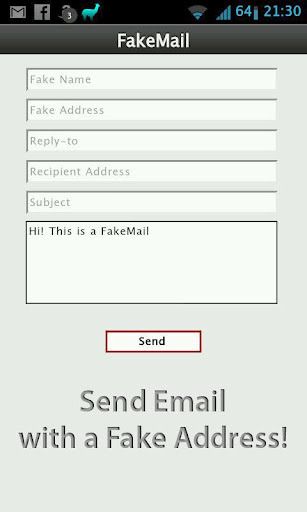 FakeMail can be downloaded from Google Play at a price of 0.69 euros and requires Android 2.2 or higher. Fake Mailer is another application that also allows you to send anonymous emails to anyone you want, and can invent the name and email address from which you send the e-mail. When you start the application you have to accept certain conditions and application requirements. Fake Mailer is available in two versions: a free, with which you can send up to 3 emails per day, and another payment that is priced at 0.99 euros (unlimited emails. Both applications require Android 1.6 or higher.